Every time I go back to the US, I get the same question: “How is China?” To be honest, the China I experienced in 2015 was more convenient than the US (despite the inconvenience of accessing US apps) . I can walk out of my house with only an iPhone, buy grocery at 711 with a simple scan, pick up flowers at local florist (pay her via Alipay or WeChat QR code, no need to friend each other) and “venmo” friends after a meal on WeChat. I don’t go through the same hassle after a group meal of figuring out who has Chase Quickpay, Venmo, Paypal, SquareCash or Messenger. I literally never carry cash any more. Even buying a 3.5RMB Chinese crepe (jian bin — a popular breakfast street food) can be done via Alipay or WeChat with a simple scan (Jack Dorsey & Square’s vision realized in China). 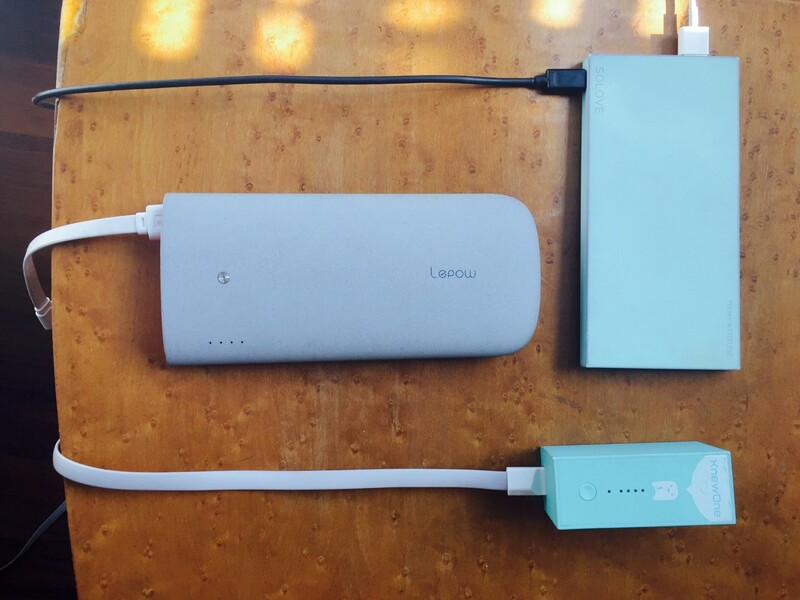 On the other hand, I must admit I am owner of many power banks (“mophies) and Shenzhen is world’s best place to get some of the most stylish mophies. 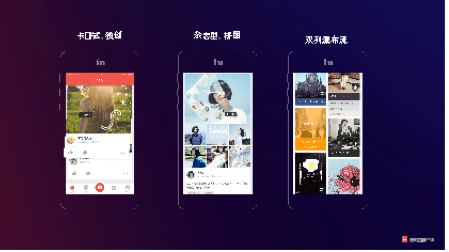 In this post, I would like to share 10 mobile apps in different categories that paint a picture of the new innovation frontier that’s taking over the China Internet ecosystem. It may take 2 posts to complete the writings and bear in mind that China evolves fast and any app could be outdated within 6 months. The categories include: e-commerce, on-demand, O2O, social, dating, video, consumer content, consumer finance, health & fitness and education. For each app, I will introduce the highlight of the app, why it’s interesting, and how similar/different it is from its US equivalent. 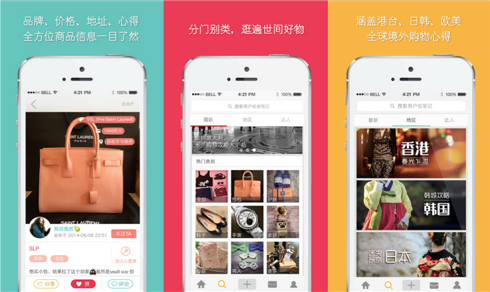 Little Red Book might be the fastest rising ecommerce app of 2015 in China. It started because founder Charlwin Mao, a GSB grad, wants to live a better and more fashionable life. He started producing overseas travel & shopping guides for Japan, Thailand, USA and other popular destinations for the middle class Chinese. As China transforms from surviving to thriving, Little Red Book captured the trend and demand of lifestyle products early on and became one of the most prominent overseas shopping sites for the affluent Chinese. What makes Little Red Book unique is that it managed to build an enriching UGC community first, and e-commerce comes second. This is non-typical for a Chinese business. With millions of Taobao shop owners enabled by Alibaba platform, most shred Chinese entrepreneurs skip the community and gets to the $$ part from the beginning — that’s what Mogujie & Meilishuo did when they copied Pinterest in 2013. Pinterest did not turn on its money-making machine “buyerable pin” till 2nd half of 2015. Most of its copycats in China were ecommerce first before they had a community. Little Red Book has become a source of lifestyle inspiration for the Chinese just as Pinterest has done to the rest of the world. One could argue that Pinterest’s most alarming barrier to enter China is Little Red Book, which focuses on the overseas shopping vertical. Note: in Jan 2016, rivals Meilishuo & Mogujie have consolidated to fight against other competition. Little Red Book is known for its innovative marketing in China, and during its anniversary, the app ranked No 1 in iTunes store for consecutive days and created viral buzz with hot models delivering products. Uber has an ambitious plan to be in the delivery business of everything — from food, flowers, people to whatever in your imagination. 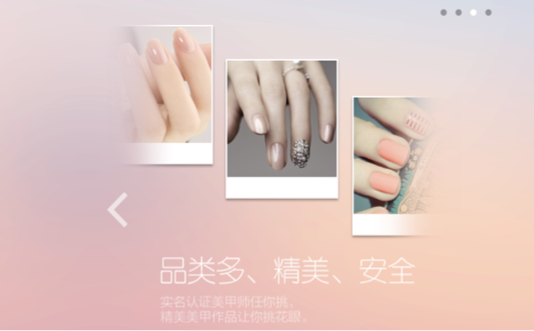 China is already ahead of the game in 2015 with on-demand of everything: massages, manicure, pedicure, SPA, personal trainer, you name it. and at least 10 apps can deliver food to your door step by pressing a button. He Li Jia (which means “home of beavers”) is an example of on-demand for cosmetic & fitness. Founded by serial entrepreneur 雕爷 (Mr. Eagle), a marketing genius who made a name with his essential oils Taobao store & beef noodle shops in Beijing. His on-demand mani-pedicure service won many girls’ heart and even became a perk for some startups to attract talent. However, the on-demand space in China is extremely competitive, partially because labor is cheap and that Chinese customers are known to have high maintenance (which Airbnb should take note of when they think about China expansion. Chinese customers may expect hotel standards, and want to pay airbnb rent). Uber has already experienced cultural shock when Chinese customers complained excessively about not having customer call center. “Who writes an email? I need to talk to someone live” Often, the competing apps have exactly the same UI. It depends on which has more resources and fierceness to move fast. 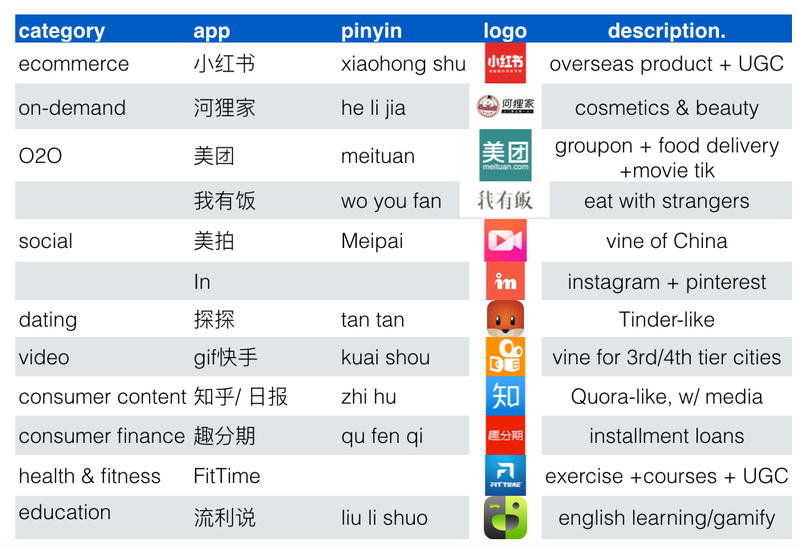 If there is one buzzword that defined China’s internet landscape of 2015, it was O2O or Internet +. Almost in every talk and every article about China internet, the word O2O appears, which was led by WeChat’s integration with ecommerce and O2O services. Many traditional businesses started to look into making their business Internet+ , somewhat arbitrarily. Founded in 2010 by serial entrepreneur WANG Xing, a co-founder of the earliest “Twitter“ of China (in 2007) and RenRen (China’s Facebook for a while, later replaced by WeChat and QQ). 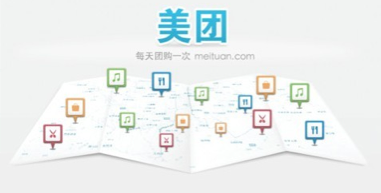 As of 1H 2015, Meituan covers 1100 cities in China and has 1.6M vendors. For the group buying business, in 1H 2015, it has 62% of market share with ￥47B sales (~$8B),YoY 190%, 95% mobile. Note, China is a truly mobile first country. 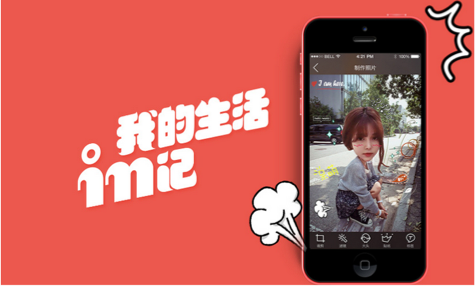 In Nov 2015, Meituan and its long term rival Dianpin (owned by Tencent) merged and became the Empire of O2O in China. 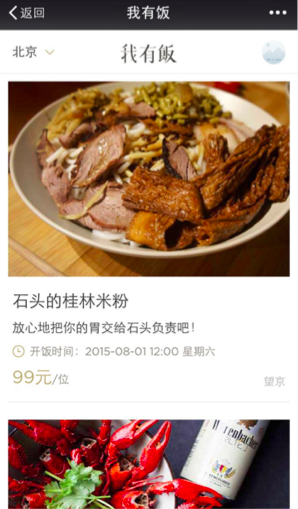 Sharing economy started to take off in 1H2015 in China and as a country known for greeting each other with “have you eaten?”. Sharing economy of food gained popularity in 1H2015. Who has ever thought that a country known for being conserved is now open to eat with strangers? Some say that Uber educated the Chinese to open up with each other by riding in a stranger’s car. Uber was literally on China’s media headlines every day (organically) for a few months in summer 2015, and people fondly joke that the app that beat 陌陌 MoMo ( the largest stranger-dating app, listed on NASDAQ) is not another dating app, but Uber. While it is super awkward for a Chinese person to go to a party and not knowing anyone, it is ok to go to a meal and not knowing anyone. This is because at least on a dinner table, you can eat, be silent and listen to others. At a party, you will be standing awkwardly by yourself. WoYouFan started in Beijing and Shanghai and was serving 60+ meals / week in Beijing past summer. As of Jan 2016, social apps, the instagram-of-China, vine-of-China, Youtube-of China are all getting into Periscope-like live broadcasting. Live broadcasting is not new. 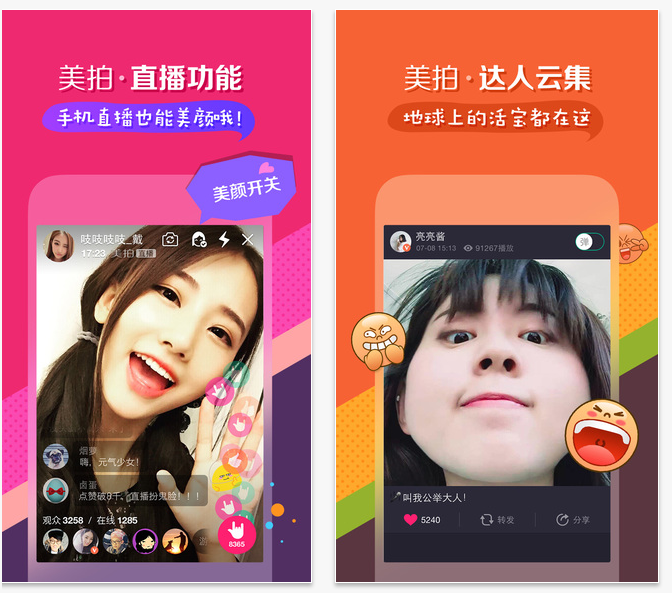 YY, an IPO-ed game developer built online chatrooms for gamers to live chat and share tactics with each other, and later developed into live showrooms for young and beautiful women from 3rd tier cities to find their 2nd life outside mundane job. For example, nurses would host borderline-ok talk shows and receiving virtual gifts such as the sound of Lamborghini from newly rich and vulgar tycoons. It has been a very profitable business where bored rich men find their meaning in these online broadcasting chat rooms. Keep in mind that China has 1.4 B people, so many newly rich and bored men out there. Today, I will introduce 2 social apps. One key learning from working 1+ year in social space in China is that it is extremely competitive and hard to gain traction. Not only are there 20 apps racing to the top, major Internet giant Tencent has China’s social layer to its belt (with QQ and WeChat covering all demographics) and there is no fairness in competition — size and scale trumps over innovation. 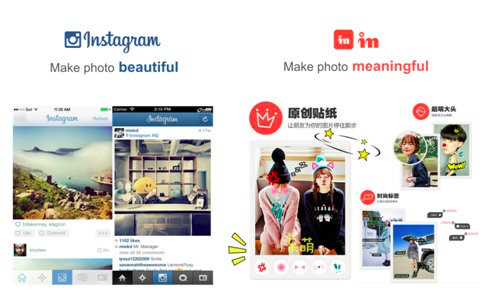 Meitu family apps are mostly tool-based, but Meipai (the Vine of China) is its first attempt into the social space. Meipai’s special sauce is its MV special effects. It dramatically reduced the barrier to make an instagram-ready video. Their tag line was “everyone can be a filmmaker”. For example, I can film my friend cooking Eggs Benedict, pause and restart whenever needed and add sound tracks etc all within the app — no need to open iMovie or FinalCut Pro. I think this is what US video apps can learn from. 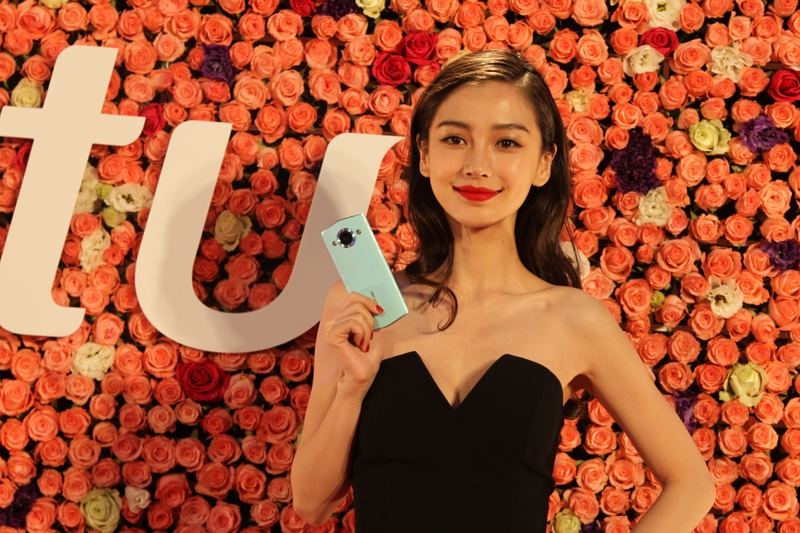 Meipai first went viral when it was picked up by celebrities (part of marketing campaign) and the poster icon for Meitu company is actress and model AngelaBaby, the 20-something version of Kardashians of China. IN is instagram meets Pinterest. Founded in Hangzhou, hometown of Taobao and Alibaba, IN got its initial traction by working with models on Taobao & mass importing photos from Mogujie (Pinterest copycat). 2M photo uploads / day and mostly SELFIES, food, baby, bags, and travel. User behavior seems universal on photo uploads. 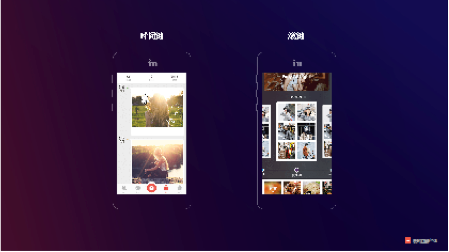 IN’s UI is more cluttered and busy compared to Instagram, not only can you upload multiple photos at once (similar to Tumblr), the photos can also vary in sizes and stickers are likely to be added. Somehow, Chinese users love photos with stickers — adding this step does not reduce the number of photos uploaded, but greatly enhance it. As a country of 1.4B people, China has no shortage of a need for dating. Worried parents even arrange match making events. The Single’s Day is equivalent of “Black Friday” in the US and coincides to be the largest sales day of the year (thanks to Alibaba) and the meaning is that if you don’t have a date, then buy yourself a gift. As of Aug 2015, Tantan has a DAU of 500k, and 65% of DAU get matches. With regard to user acquisition: the first 20k users were from schools, but resulted in low retention rate. Then Tantan imported users from P1 photo community, who are good-looking users. For 100 photos, male like 60%, female like 6%. The app uses point system to regulate user behavior. 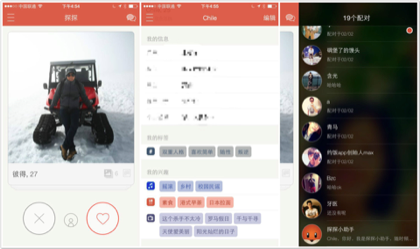 A key differentiator between US and Chinese dating app is messaging efficiency. Chinese male users don’t know how to flirt in person, or online. This is also reflected in the fact that Chinese people have few words, but are so expressive with stickers and emojis. Therefore, you will notice that successful dating apps have gamification & ice breaker included in the initiating contact stage, for exmaple, BaoBao, a copycat of Whisper used “Truth or Dare” as an ice breaker. 6–10 and more to come next week. you may also request topics for me to write. :) Happy almost Chinese New Year!